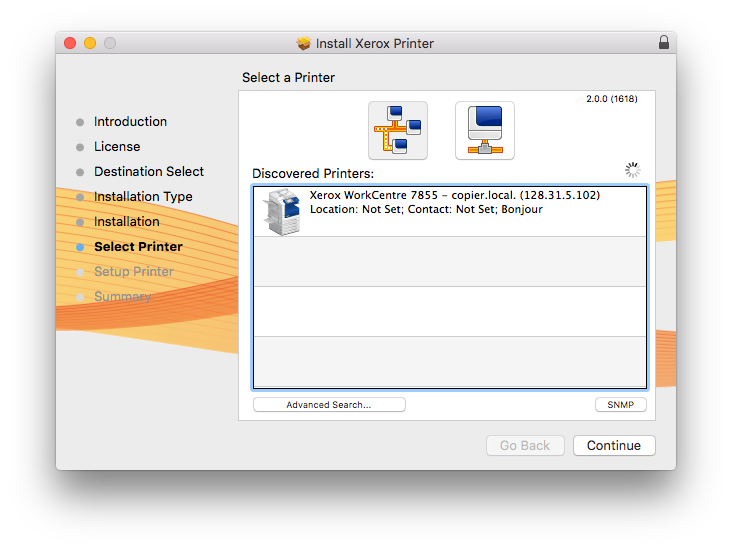 Select the printer (if it shows up, if not, keep reading), click 'Continue', and finish the installation process. 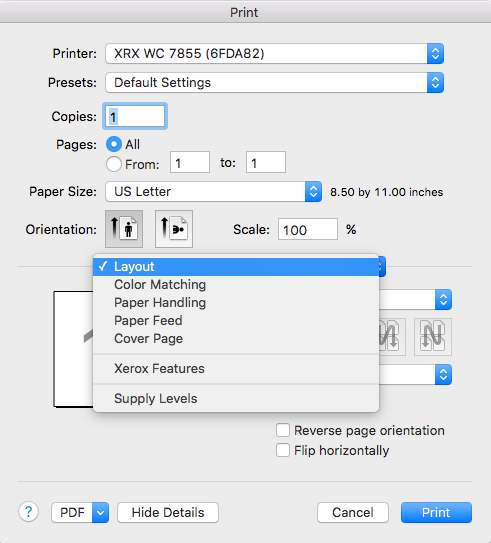 You can skip the next few paragraphs and go on the the section titled 'Printer Configuration' below. 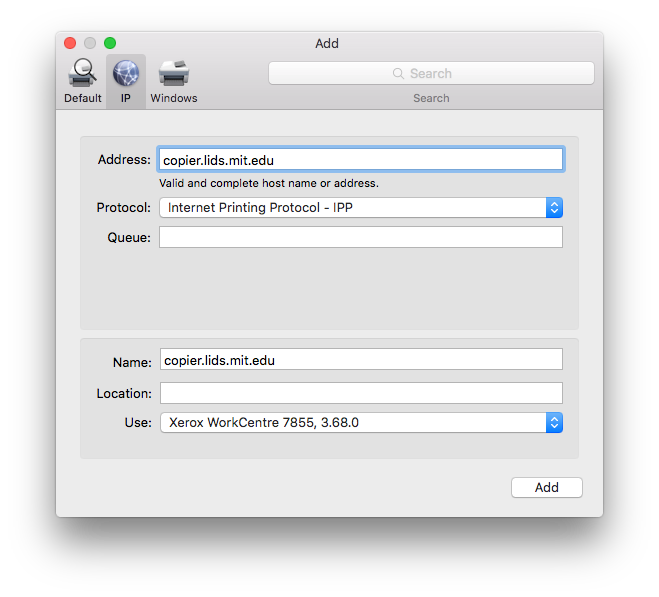 If you are connected to one of the wireless networks in the lab, you will not see the copier listed. That's OK, click 'Continue' and finish the installation process. You might see a warning message if a printer wasn't selected. 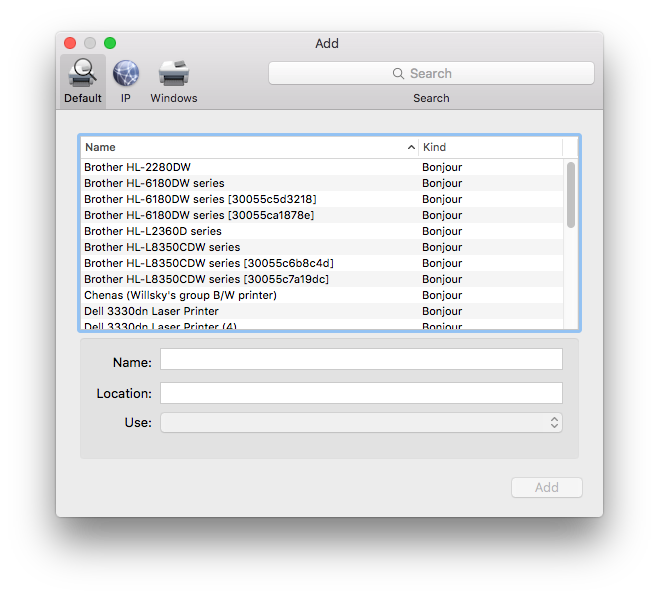 That's OK too, just click 'Continue', close the window, and then open up System Preferences (you can find this in the apple icon in the top left of your display) and select the 'Printers & Scanners' icon. 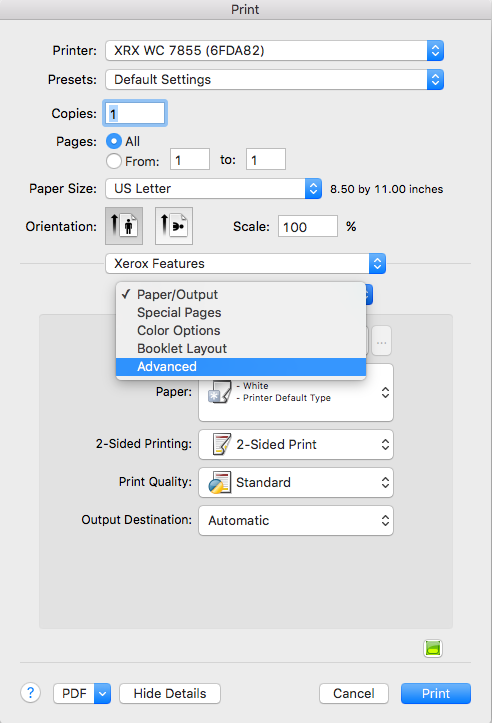 Now click on the + button and select 'Add Printer or Scanner'. Click Add, and continue with the configuration outlined below. This printer requires a passcode to print. You should have received the code from your Administrative Assistant. Select 'Advanced' from the dropdown menu shown above, and then look for the section called 'Configuration: Accounting'. 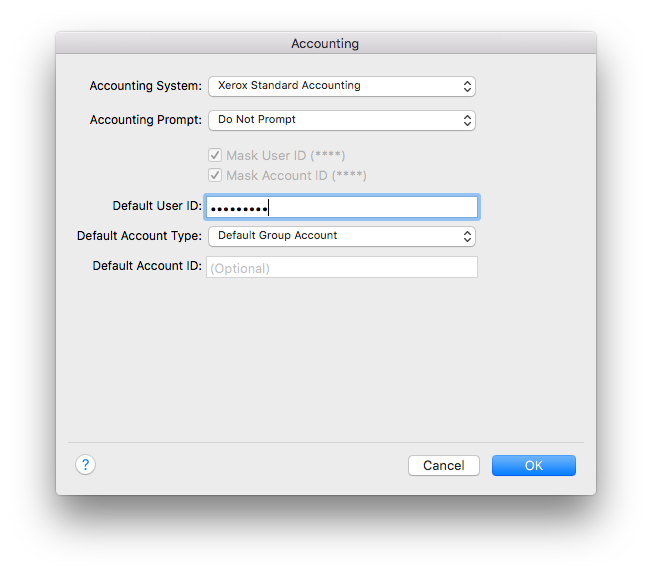 Leave 'Default Account ID' blank, and enter the code you received in the 'Default User ID' field, then Click on 'OK'. If you clicked on 'OK', you should be back in the previous configuration window. At the top of it, look for a section called 'Presets' and select 'Save Current Settings as Preset'. Select a name for it and make it available only for that printer. Save everything and try printing your job. Email Brian if you run into any problems or have any questions.